Having fun during the merriest season of all isn’t reserved for kids alone. The Snoopy House opening this week in front of Costa Mesa City Hall, is a testament to what big kids dream up and do to spread cheer. 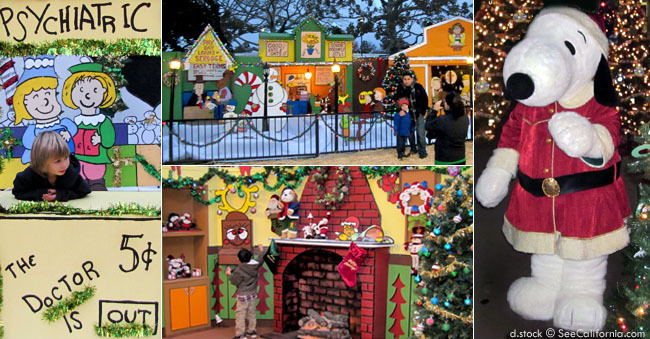 Created by Jim Jordan, who began his impressive creations in 1967 in front of his Costa Mesa home, The Snoopy House, just like Charles Schulz’s Peanuts, took on a life of its own as people from around the globe heard about it from friends or in the media and made their holiday plans to visit Orange County to see this Christmas institution. Jordan’s friends joined in the act to help create and set up an expanding number of displays and the crowds grew to more than 80,000 joyful spectators each holiday season. Now even more people get to see The Snoopy House with its fantastic location across the street from Orange County Fairgrounds & Event Center where the Winter Fest returns with ice tubing and other great fun! Sacramento’s Global Winter Wonderland is back with illuminated displays, rides, entertainment and laser tag. Filoli in Woodside celebrates the season with Luminous: A Celebration of Color & Light. This year they’ve added more lights, more days, and endless fun. At Universal Studios the Grinch Steals Christmas while The Magic of Christmas at Hogwart’s Castle captures the imagination of young & old. In San Jose the annual Christmas in the Park offers a family tradition for locals and visiting relatives. Grass Valley’s Cornish Christmas recaptures the spirit of Christmases Past. Laguna Beach’s Sawdust Winter Fantasy combines shopping, arts, and kids play all in on magical place. Mendocino Coast Botanical Gardens Festival of Lights is a real delight. Los Gatos Fantasy of Lights is extremely popular due to its drive-through nature and flashy displays. 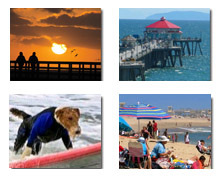 These are just a few fun things to see and do on a limited time basis. There are thousands more throughout the state.